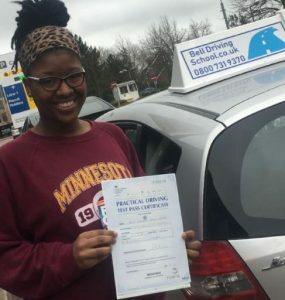 The driving test changed in December 2017, we look how pupils are finding the changes. The first changed made to the test was the independent driving, it increased from around 10 minutes to 20 minutes. Most pupils will be asked to follow a sat nav during the independent part of the test, some will be asked to follow signs. The manoeuvres on the test will change to driving into or reversing out of a bay, pulling up on the right hand side of the road reversing two car lengths then rejoining the traffic the last manoeuvre is parallel parking which remains the same. The examiner can ask you to use the ancillary controls while driving. 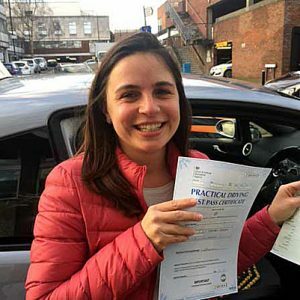 On the whole most pupils have found the new driving test no more difficult then the old test. The increase in the length of the independent driving seems to have made little difference to pupils. Many pupils actually prefer the sat nav or following signs, to being directed by the examiner. However following a sat nav has some issues, the biggest being the sat nav is not always correct, this is usually corrected by the examiner but this can cause confusion for pupils. Also the sat nav can be very late at giving instructions which can cause issues. The best way to avoid these problems is not to only listen to the sat nav but to look at picture on the screen and then look at what is actually in front of you, this can take time to master but with practice you can over come this. Many pupils have found the manoeuvres to be easier then before, the dreaded reversing round the corner has gone and its replacements seem to be easier. We are pleased with the bay parking manoeuvre we think this is a great addition to the driving test. Pulling up on the right is a good idea but it would be better if this wasn’t a manoeuvre and didn’t involve reversing. We also would have preferred if the ” turn in the round” had been kept in the test as we believe this is something every driver uses . Using the ancillary controls while driving has been something that some pupils have found to be challenging to master, but with practice it gets easier and easier. In summary we believe there have been some good changes to the driving test. It has tried to reflect modern day distractions whilst driving like using the sat nav. The bay parking is definitely an improvement after all who doesn’t park their car. We hope the DVLA will continue to make improvements to the driving test. How about being retested every ten years!